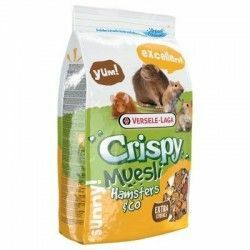 Complete food for the daily diet of gerbils. 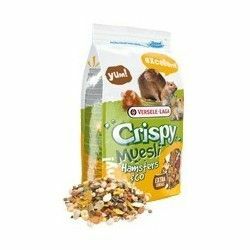 Your recipe made specifically for gerbils, combines seeds, nuts, fruits, fibers, herbs, grains, and vegetables. It is a food that takes care of the digestive system, will benefit the oral health and keeps hair and skin healthy and bright. Is a I think that covers all the nutrient and energy needs of your pet. 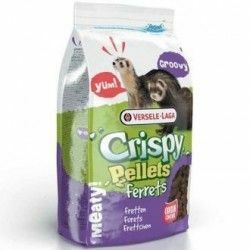 Versele-Laga is a Belgian brand international manufacturer of excellent quality of food for animals and pets, the company was founded in 1932 to manufacture on a small scale, the company was growing little by little to become what it is, they have products for nine different types of animals including: Chickens, Dogs, Cats, Rabbits, Birds, Horses... Is a company with a quality system in research, nutrition and environment very high. 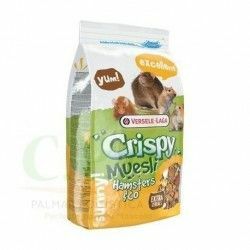 His philosophy consists in mejorarcontinuamente the quality of the product, a production technique upper, a careful customer service and innovation in the field of nutritional concepts. Benefits the health of the digestive system. Reduces the smell of feces and urine. 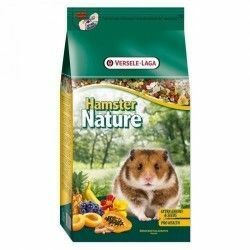 Food for gerbils of all ages and sizes. Recommended daily amount of 15 g.